Cosmetic dentistry can enhance the appearance of your teeth by successfully blending the fields of art and science to create a beautiful new smile. At Pomerado Cosmetic Dentistry, our general and cosmetic dentists have decades of experience helping patients to improve common dental imperfections and begin smiling with confidence. A number of treatment options available at our practice will restore both form and function in your teeth while providing long-lasting, natural-looking results. Please follow the links below for more detailed descriptions of our cosmetic dentistry procedures, and contact us today to schedule an appointment. With Zoom® teeth whitening treatment, we can lighten your teeth by several shades and reduce the appearance of yellowing and staining. Our practice offers both professional in-office whitening procedures and at-home treatment kits to help you attain a whiter, brighter smile. Porcelain veneers can improve the appearance of a number of dental issues, including gaps, chips, discolorations, and even teeth misalignment. These durable, effective treatments cover only the front portion of the tooth and are custom-designed for the most natural look and feel possible. A porcelain dental crown offers incredibly strong and natural-looking support for a tooth that has been affected by severe damage, decay, or recent root canal therapy. Our office uses CEREC® milling technology to create custom-designed crowns that both look and feel like actual teeth. With CEREC®, we can design and create your dental crown within minutes here at our practice, giving you a one-visit crown procedure without the need to have a temporary crown made or the need to return weeks later to cement the permanent crown. Fillings are one of the most frequently performed dental treatments, and have traditionally used metallic, mercury-based materials to restore teeth affected by cavities and decay. Tooth-colored fillings, also known as “white” or composite fillings, do not use potentially harmful mercury and are designed to blend in with your teeth. With tooth-colored fillings, you can strengthen and restore your teeth much more discretely. If you have what’s called a “gummy smile,” cosmetic gum recontouring may be a great option for your needs. Utilizing state-of-the-art laser technology, our dentists can remove excess gum tissue and improve symmetry between the gums and teeth with beautiful results. 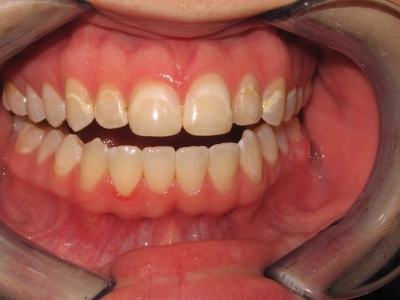 Many orthodontic issues can be effectively resolved with removable retainers. These oral appliances can often address mild to moderate teeth crowding, misalignment, and other problems more comfortably and less noticeably than braces or other orthodontic treatments. If you are missing one or more teeth in single area along the gumline, a dental bridge can be a great option for restoring both form and function with results that look and feel natural. Dental bridges are composed of an artificial tooth or teeth supported by two porcelain crowns on either side. The artificial teeth can be made of dentures or dental implants (implant-supported dentures), depending on your specific needs. One of the chief benefits of a dental bridge is that it significantly reduces the potential of shifting or slippage along the gum, ultimately allowing for results that not only look like natural teeth, but also improve chewing, speaking, and other problems often caused by missing teeth. Dental bridges have been a commonly performed treatment for many years and can work wonders at providing effective teeth replacement and restoring full chewing capability. Cosmetic dental bonding can be extremely effective at restoring the function and appearance of teeth affected by chips, stains, and even gaps and spaces. A strong resin is applied layer by layer on the tooth, followed by exposure to a high-intensity light. The light hardens the resin, and the material is then shaped and polished for the most natural-looking results. Cosmetic bonding has been used in dental procedures for decades and continues to prove itself as a reliable treatment for minor teeth imperfections. 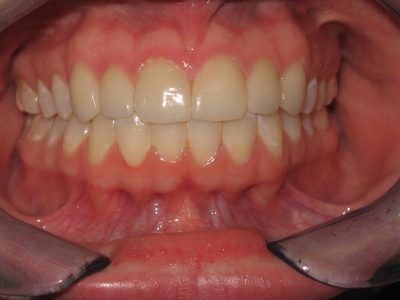 It is very common for decay to form in the grooves and surfaces of the back teeth. Inlays and onlays are effective treatments designed to reinforce these areas and prevent bacteria from settling in later, ultimately helping to stave off cavities and further decay. These procedures can also be beneficial for teeth affected by small cracks and fractures. Typically made from a strong ceramic material, inlays and onlays are designed to blend in with your natural tooth color, so they are barely even noticeable on your teeth. At Pomerado Cosmetic Dentistry we are able to provide these permanent restorations same day with the use of the CEREC® machine. For more information on our cosmetic dentistry treatments, or if you would like to schedule an appointment at Pomerado Cosmetic Dentistry, please contact us today.